Recording artist Carrie Underwood attends the 52nd Academy Of Country Music Awards at Toshiba Plaza on April 2, 2017 in Las Vegas, Nevada. 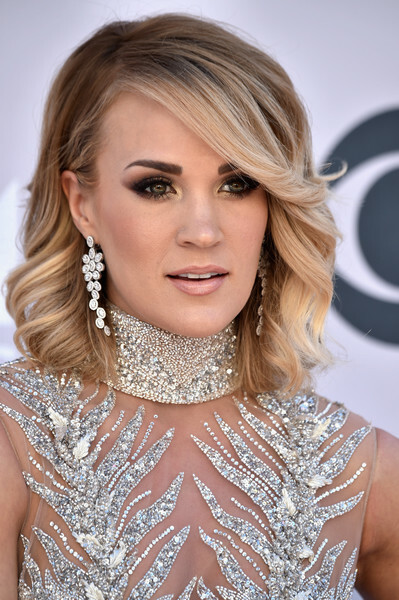 Carrie Underwood matched her sparkly dress with a pair of diamond chandelier earrings by Harry Kotlar. Carrie Underwood framed her face with this sweet feathery 'do for the 2017 ACM Awards.